Today I’m excited to interview debut author Jennifer Bosworth whose debut book STRUCK was released on May 8, 2012. One of the things I enjoyed about this is that Maya is a lightening addict. And we explore what could become of our world if it was being destroyed by lightening storms and catastrophic earthquakes. Sorry in advance for Blogger's weird text changes that I can't figure out how to correct. Much to the dismay of my parents, the only thing I’ve ever wanted to be is a writer. I always wrote short stories, and I started writing terrible novels in my teen years, novels that I never finished, and that’s not a tragedy. I majored in English at the University of Utah, but I can’t say I learned anything about writing in college that I couldn’t have learned through a subscription to Writer’s Digest. (PS, if you are a writer and you don’t have a subscription, get one) After graduating, I worked as a copywriter, and taught some adult education classes on writing horror, fantasy, and science fiction. The first two novels I wrote were . . . I’m not going to say terrible. They were unpublishable, in part because they were each more than 800 pages long. That’s too long for a first book from an unknown author. Also, I didn’t realize I had more of a YA voice than an adult voice. Once I started writing YA (once I found out there was a YA genre) everything fell into place. 2. It's good to know that I'm not the only one whose first novel was too long. One of the things that drew me to your book was the idea of Mia’s power being lightening and the whole idea that lightening storms and catastrophic earthquakes could destroy our world. How did you come up with these ideas? I like to base my supernatural in the natural, the vaguely, maybe possible. I’d never thought much about what lightning was capable of until I stumbled across some bizarre facts about the phenomena, and about real life human lightning rods. I began researching lightning and all the bizarre things it can do to people, and I was hooked. I had to write about it. 3. I never knew people could be lightening rods. How interesting. Mia has a lot to deal with—a world falling apart, hiding her powers, and a dysfunctional mother and a brother she doesn’t see eye to eye with. What were some of the challenges in creating her as a character? Avoiding “whiney character” syndrome. I wanted Mia to be tough, but I also needed her to be effected by all that was going on in her life. It’s incredibly hard to strike that balance between angst and toughness. Mia is strong, she’s powerful, but she cares about something deeply, and so I hit her where she lived so I could wrench the appropriate kind of angst from her. I pushed Mia to the brink to see how long it would take to break her. As it turned out, she’s even tougher than I thought. 4. Awesome that you recognized the challenge. And you did a great job not making her whiney. Most dystopian and post-apocalyptic deal with a society controlled by the government. But in STRUCK, the government feels pretty unequipped to handle the situation and the Prophet, the leader of a religious cult, is trying to take control. I found that fascinating. Tell us what made you choose tackle this very emotional for some people issue and one not very explored in YA books? I’ve been obsessed with cults for as long as I can remember. I was born in 1978, the year the Jonestown Massacre occurred, so I wonder if my lizard/baby brain remembers everyone talking about that tragic event. When I was a little older, I started having recurring nightmares that a cult had formed in our town, nightmares so real I started to believe they weren’t dreams at all. I was in high school when Aum Shinrikyo attempted to kick-start Armageddon. Shortly after that, the Branch Dividian siege in Waco, Texas went down. Add to that, I grew up in Utah, where we were always on the lookout for renegade fundamentalist polygamists. They were easy to spot. For the most part, they look just like the polygamists who live on the compound in Big Love. Aside from my cult obsession, I wanted Struck to convey something a bit more serious. I grew up in an extremely religious community, and as a kid I didn’t feel like I was encouraged to think for myself. It seemed like adults were always telling me what I believed as opposed to asking me to decide for myself. Part of the reason I created my character, Mia Price, is because I love the idea of pitting a cynical teenager who doesn’t believe in much of anything against two doomsday cults, both of who are trying to force their beliefs on her. If there is a subliminal message in Struck, it is this: don’t let anyone else do your thinking for you. Not a political leader, not a teacher, not a religious leader, not even a parent. Listen to them, but don’t believe blindly. 5. So interesting how you drew on an obsession from your childhood and your religious experiences. Share with us how you obtained representation by your agent Jamie Weiss Chilton and your road to publication. I read your book went to auction and I’d love hearing about that. I pitched to Jamie at the Santa Barbara Writers Conference four years ago. At the time, Struck was only half finished, so when she asked for the full manuscript I had to hurry and write the last 150 pages in a week, because I didn’t want to tell her the book wasn’t done. She read the book and gave me notes, but didn’t sign me right away. I’d never revised for an agent before, so I had no idea how to address her notes. I ended up completely rewriting the book, which Jamie did not expect. She was a little uncertain at first, but eventually signed me and we did a few more rounds of revisions together. Those revisions are the reason Struck went to auction. Jamie helped me turn this book into the book it was meant to be. Going to auction is a surreal experience. It’s one of the few times a new author will feel like the power is in her hands. Four editors from major houses participated in the auction, so I got to talk to all of them and hear what they had in mind for the book. All of the editors were wonderful, but I clicked with Janine O’Malley of FSG/Macmillan, and I trusted her vision for the book. 6. I can't imagine writing 150 pages in a week. Sounds like we all want to go to auction and experience being in power for once. Marketing is a big part of being an author. What have you learned from other authors who debuted before you and how is that shaping your own marketing plan? What advice do you have for us aspiring authors? I’ll start with my advice for aspiring authors, and it is this: you don’t need to worry about marketing until you have something to market. If you find that Twitter and blogging are getting in the way of you actually writing, shut it down. Write first, market later. I didn’t get on Twitter until a year after Struck sold, and that didn’t hurt me one bit. But if you truly enjoy blogging and FBing and Tweeting like mad, AND you still have time to write, have at it. That being said . . . a lot of the marketing we authors do tends to feel like shouting into the dark. It’s difficult to track results. What’s worked the best for me is to be genuine and enthusiastic, and to try to entertain people at the same time that I’m selling them on my book. 7. Thank you so much for saying we don't have to be on Twitter yet. I may join but have been obsessing about it. It's so freeing to know that can wait if I need to not join now and focus on the writing. What are you working on now? I’m having a hard time keeping track of my own projects. So many of them!! I’m finishing up two books––a psychological horror and a post-apocalyptic fantasy western––and writing proposals for others. I’m also working on several horror screenplays. My true love is horror, so I hope I end up finding a place for myself as a horror author in both YA, adult, and film. That's great you're so productive. Thanks Jennifer for sharing all your advice. You can find Jennifer at her website, Facebook, and Twitter. Jennifer's publisher generously offered an ARC of STRUCK for a giveaway. To enter, all you need to do is be a follower (just click the follow button if you’re not a follower) and leave a comment by midnight on June 23th. I’ll announce the winner on June 25th. If your e-mail is not on Blogger, please list it in your comment. International entries are welcome. On Wednesday I'm participating in an Indie Book Giveaway Hop. I have an awesome giveaway planned. And Friday I'll be posting my NEVER SURRENDER BLOGFEST post. I'll be sharing a very personal story so I hope you'll stop by. Don't forget to enter my contest for Elana Johnson's book SURRENDER. The link is at the top of the blog. And I just won a copy of her e-book REGRET. Since I have it, I'm giving away the copy I won. Next Monday I'm interviewing Lynda Mullaly Hunt and giving away a copy of ONE FOR THE MURPHYS, a contemporary story I really, really enjoyed. What a cool concept. I've never heard of human lightning rods before. At least none who have survived. You don't hear too often about the auction stories. Loved hearing about that. Wow - amazing cover and I love the blurb. Definitely going on my list! :) A friend of a friend has been hit a couple of times by lightning - I thought that was extremely odd - didn't realize it happened more! It's great to get to know you, Jennifer. I totally agree with Stina: this is a really cool premise for a story. Great interview! Wow- really interesting responses Jennifer! Cults and human lightning rods are both intriguing topics and the two together in a story makes for a highly anticipated read! Thanks for sharing with us! Nice interview. The premise of Struck sounds awesome! I remember all that cult stuff, too. Very interested to read this book. STRUCK sounds like an amazing novel. Thanks for the fantastic interview. I enjoyed hearing about the writing process behind STRUCK. Great interview. Loved hearing about the auction for her book! Love the concept for this book. Very original. I really liked learning how this story developed with Jennifer's interest and research into lightning and cults. The book sounds intelligent and fascinating. Congrats and best of luck on your future projects! The background to your blog is great. I like how it’s simple and not distracting. 150 pages in a week? That sounds super human to me! The book sounds great. Thanks Natalie and Jennifer. 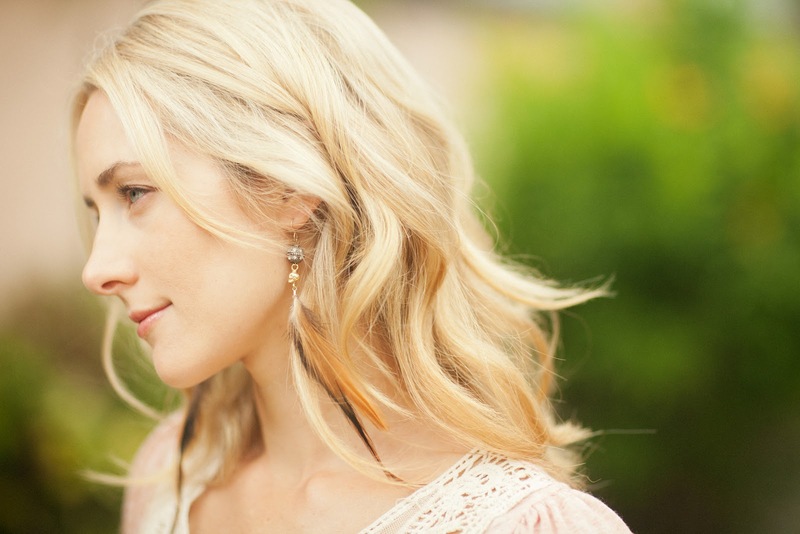 Oh, and Casey--your new picture looks gorgeous! What a fascinating premise for a book! I love hearing the journey authors take, they are so varied and unique. Looking forward to your Friday post, Natalie! Wow! I hadn't heard of this one yet and I LOVED the interview. All those parts of the author's life coming together like that... Oh and the cover is GORGEOUS. I'm putting this one on my list! I love books that can be summed up in a few words: you had me at "girl addicted to lightning". I enjoyed getting to know more about you,Jennifer! Congratulations on having a book thought suitable for auction-I bet that set off dive bombers in the stomach, lol! Your book sounds intriguing. Having the command of lightning would be exciting and terrifying. Whoa. This book sounds awesome. Excellent interview. I'm a huge nerd when it comes to cults. The very idea of them is just utterly fascinating, in a really creepy kind of way. I'm so looking forward to reading this one! Thanks for the giveaway! Jen's also really sweet so I'd love to win her book! It's really amazing that Jennifer was writing novels when she was a teen, even if they were terrible. I can't imagine what it must be like to sit down and write 800+ pages. I'm obviously not a writer, but it seriously "wows" me. Thanks for the interview, Natalie! I'm definitely going to look for this one - it's intriguing. I'm intrigued by this book. It sound different from what I'm seeing in the YA section these days. Thanks for telling us about the book and introducing us to the author. I had to loosen up to find my YA voice. It's neat that Jennifer is a natural at it. Thanks for the recommendation! What a great interview! I read the whole dang thing :) (sometimes I skim;) Thanks for openly sharing your journey. I am in the midst of working on revisions with a couple agents (no offers yet) and it is a scary place to be. I don't think I could have pulled off that 150 pages! You're amazing. I will so totally check out STRUCK. The premise for this book sounds incredible! Natalie - I'm also in the Never Surrender Blogfest. I look forward to reading your entry! Great interview! Struck sounds really good!! Thanks for the chance to win! I really like that Mia is a balance of angst and softness. It's good that she cares for something deeply and should anything threaten it it's interesting to see how she would deal. I'm looking forward to reading STRUCK. It does look amazing. Cults are scary & fascinating. Natalie, I learned a great deal from this interview. Thanks Jennifer for giving comments on marketing, Writer's Digest, and whiney characters. 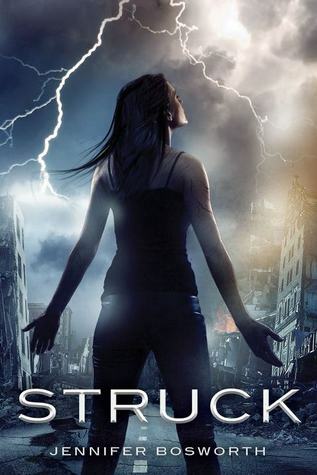 Please enter me in the contest for a copy of Struck. I would love to read this one. Please enter me for Struck! Sounds fascinating. It's so good to know that we don't exactly need to be Twits right off the bat. I hardly have enough time to write, as it is. Her book sounds amazing! I can't wait to get my hands on it! I follow via GFC: Tabitha & email: Jeep_wrangler_girl@yahoo.com. This book sounds so amazing and the cover is gorgeous! Great interview! What an en-lightening concept. Lol. I am a follower of this blog (in fact it is bookmarked as my homepage). I also tweeted about this post and giveaway and I posted the link on facebook. Great interview. This is definitely a book that sounds fun to read. I would love to enter to win an arc. Thank you so much. I could have pulled off that 150 pages! You're amazing. I will so totally check out STRUCK. I've always wanted to be a writer since I was a little kid, but I've never been able to finish writing a whole book. Even if your first two books were 'unpublishable', I'm extremely impressed that you managed to write more than 800 hundreds pages for each one! And 150 pages in one week! Just, wow! This book sounds really amazing & I'd love a chance to win, so thanks for the giveaway! From the moment I saw the incredible cover for Struck I had to find out more. I love the premise and cannot wait to read it. Thank you for taking the time to share with us and for this wonderful giveaway opportunity. I can't wait to read struck! I've been waiting for this to come out! Great interview too=) It's amazing how things come together sometimes. Can't wait to read this book it sounds so good, thanks for the giveaway! What a great interview! I was lucky enough to get to meet Jenn at a stop on the Fierce Reads tour, and she said a lot of great things then and here. I agree with many of you that the pressure to have a social media presence and work on my own writing can be overwhelming, and that it's a bit of a relief to hear that it's okay to put Twitter and blogging to the side and then pick it up later. Great giveaway opportunity, too (I tweeted about it)! Struck sounds like an awesome book. I think the theme of religion is strangely absent in YA literature too, though it is a strong topic in the world. Teens think about that stuff too! Sometimes moreso than adults realize. Jennifer was smart to write a book with the theme of religion and what is moral, ethical, and acceptable. I love books that spark critical thinking and cause the reader to look at the world they live in with a new perspective. Great interview. The premise of Struck sounds super cool! !